Replay Video Capture 8 is here. And you're going to love it! CHECK THIS OUT! 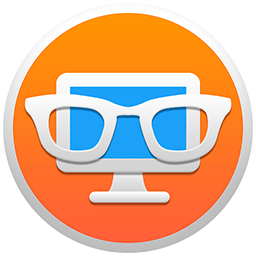 Replay Video Capture software is the ONLY screen capture application of it's kind that allows you to screen capture videos using Background Mode. Go ahead and hide the video, or cover it with another window. Replay Video Capture will continue capturing without disrupting your recording! Replay Video Capture can expertly record streaming and online video and any other video playing on your PC screen with perfect quality. If you can watch it, you can save it! Record video from ANY website regardless of format. Or, screen capture video from DVD's playing on your PC. Because Replay Video Capture software does not circumvent DRM or any copy protection technology, it's 100% legal worldwide. 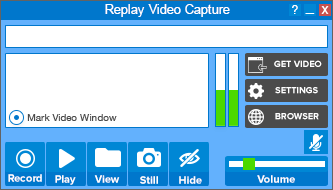 Using Replay Video Capture is easy! Just press the Get Video button to automatically detect the video window on your screen, then click Record to start. Once you're recording, just click Stop to end, or Pause to pause and resume. It's that simple! With the Replay Video Capture screen recorder, you'll get amazing video quality, or compact portable files. You can choose between high-quality, high-speed MPEG-2 files, or smaller Windows Media (WMV) files. You can even run Replay Video Capture from a USB/Thumb drive and save videos externally. Try Replay Video Capture Software FREE today. The free demo is fully functional so that you can try all of the features. You can capture up to 2 minutes of video in demo mode. 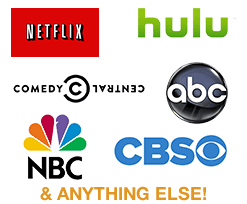 Once you order you can record unlimited video.